Found this. I know NOTHING about books. 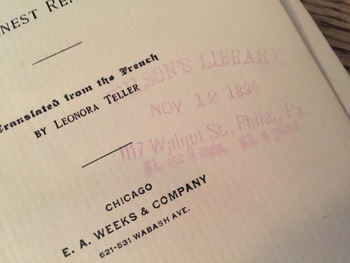 Was a library rental. 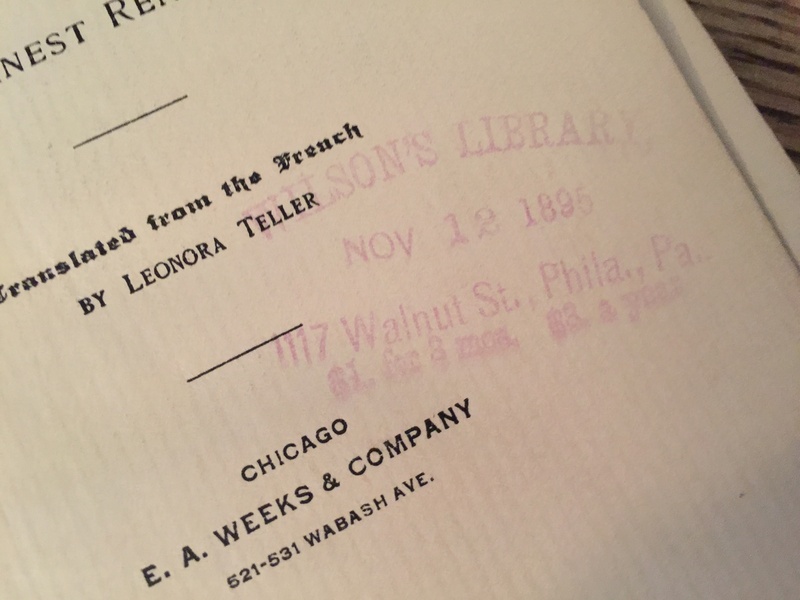 Wilson's Library Phila PA - Library stamped Nov 12, 1895, $1 for 8 years ? Info please, help me find out more. :) Thanks so much! 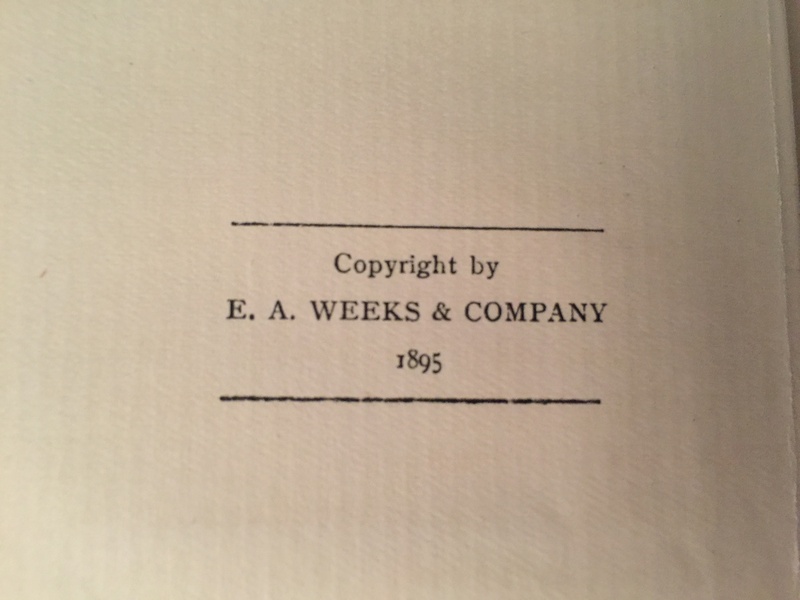 What are you wanting to know about this book? 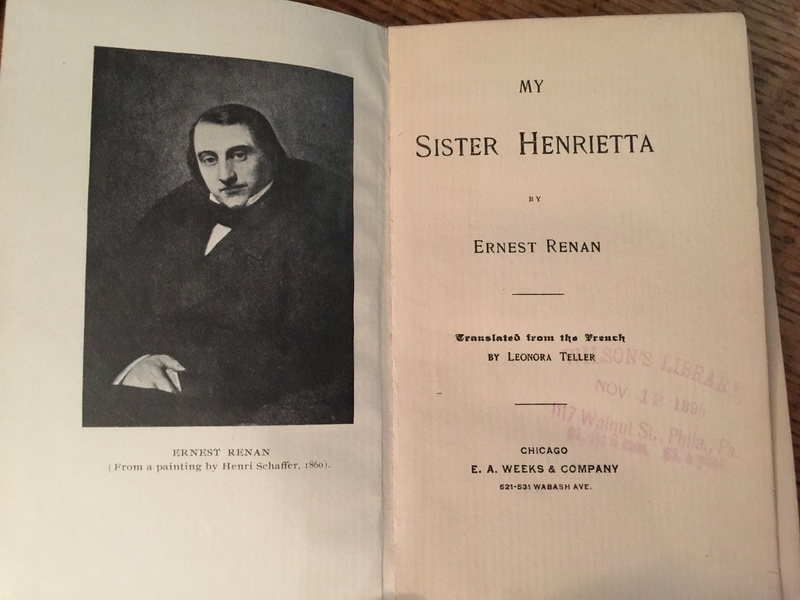 "Ernest Renan, entitled; Henrietta Renan; AM emorial for those who knew her, a pathetic tribute that hastens to say, These pages were not written for the public and will never be offered for sale. In 1883, in his preface to Recollections of Childhood and Youth, Renan wrote: She whose influence upon my life was strongest, my sister Henrietta, has but little place in this volume. 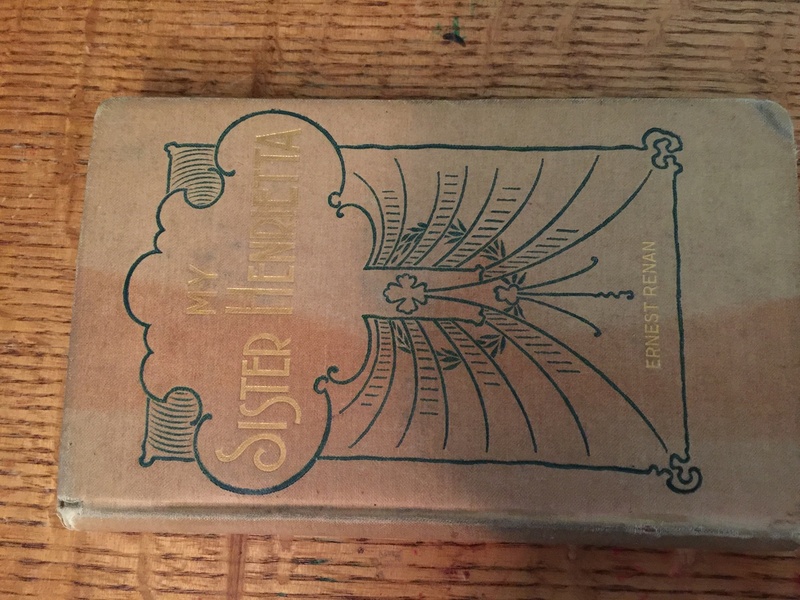 In September, 1862, a year after the death of that precious sister, I wrote for the few who knew her, a brief sketch, sacred to her memory. 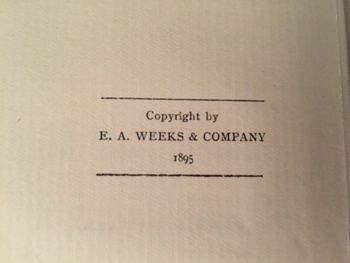 Only a hundred copies were printed and read with sympathy by friends who loved us both. My sister was so modest, her aversion to publicity was so strong, I should expect her to reproach me from the tomb, were I to give these pages to the world."